We love hearing about new, interesting games for iOS, and Kingdoms – an upcoming app from indie developer Space Bears – is just that. The application promises iOS device owners “a medieval board game for the 21st century,” and it’s coming to an App Store near you this fall. 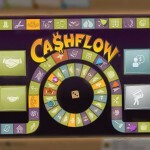 In the app, gamers need to capture land and, ultimately, their opponent’s king through placing tiles on a virtual board. It’s turn-based, of course, and different players are represented on-screen by different colors (as in the above screenshot). You can take over any enemy square adjacent to yours, and the first player to capture the other’s king wins; however, “fortified” tiles cannot be captured by an enemy. Here are the rules that make Kingdoms interesting, though: conquering enemy tiles gives you extra moves next turn, and separating a group from its king captures them all. 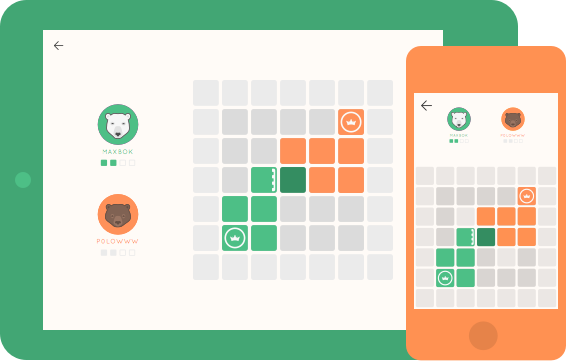 The app looks to be a clean, simple, minimalistic title that’ll be a lot of fun to play. Kingdoms should launch on the App Store in August or September, and once available it’ll retail for $1.99 (following a $0.99 one-week sale). We’ll let you know once it’s available to download. In the meantime, see: Popular ’relax ‘em up’ MTN’s 1.1 update to bring widescreen support, new modes and more, First OS X Yosemite public beta set to launch on Thursday, July 24, and FiftyThree’s Pencil stylus now works with more than just Paper.